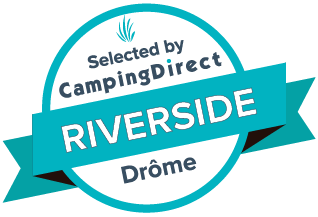 Welcome to the Rives de l'Aygues, family camping 3 stars in Drôme Provençale. Enjoy a comfortable campsite with 100 pitches, ideally located in the heart of nature and along a peaceful river. Enjoy the entertainment, snack bar and pool of this family campsite located in Tulette, near Vaison-la-Romaine, Nyons, Orange and Mont Ventoux. Whether you stay in a motorhome, a caravan, a tent, a chalet or a mobile home, the Rives de l'Aygues campsite is the ideal place to relax.